Fentress recently visited the Southern District of Texas to evaluate existing facilities and develop future housing solutions for federal courthouses in Brownsville, Corpus Christi, Galveston, Houston, Laredo, McAllen, and Victoria. Three of the district’s courthouses were constructed within the past 20 years and meet most modern security and functional standards. 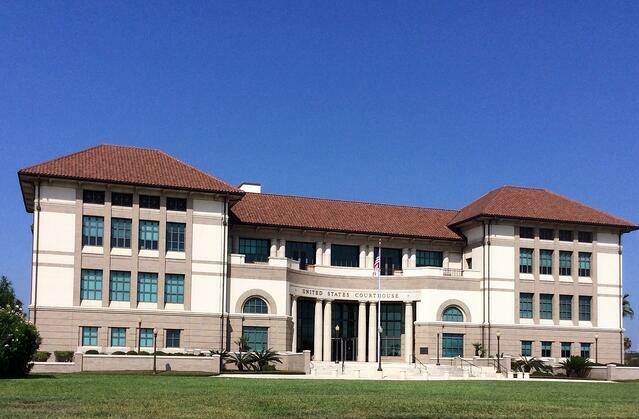 These include the three-story Corpus Christi Federal Courthouse, which is situated on Corpus Christi Bay and is made of Texas shell limestone with a red clay tile roof. The district’s other courthouses vary in age and exhibit a range of issues, none more pressing than in McAllen. Housed in what is essentially a leased, 1980s-era office building, the court is managing one of the busiest criminal dockets in the nation, given its proximity to the U.S.-Mexico border. Law enforcement initiatives and population growth along the border contributed to growth in caseload, judgeships, and staff, which in turn forced the court to expand its presence in a facility that is poorly suited to modern court operations. Judges, Congressional representatives, and other officials are concerned with the situation and seeking an alternate housing solution. Fentress is working collaboratively with the court and other stakeholders to update forecasts and space condition assessments, and to identify options for suitable long-term housing arrangements in McAllen, as well as the other locations.